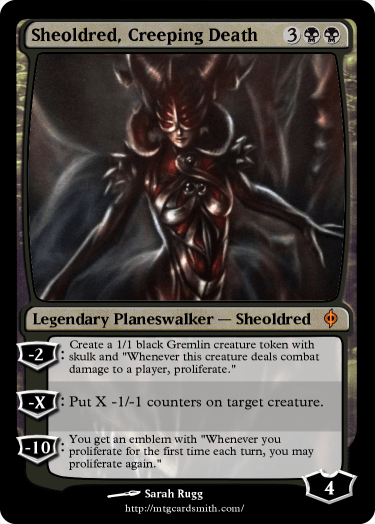 I challenge you to create a planeswalker that does not have a direct plus ability , but uses other ways get loyalty. Cards will be judged by creativity on how the planeswalker gets loyalty. Please no X in cost to loyalty. 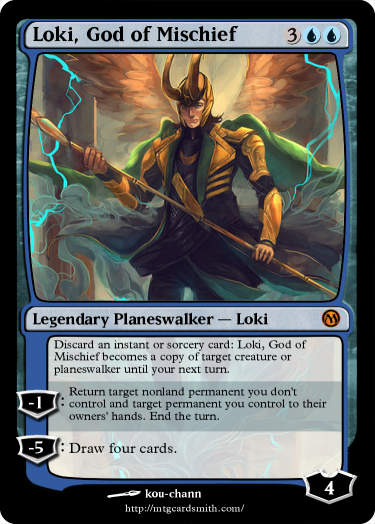 ^2nd ability needs to say "end the turn" so that you can't cast Loki and use his 2nd ability in the same turn. 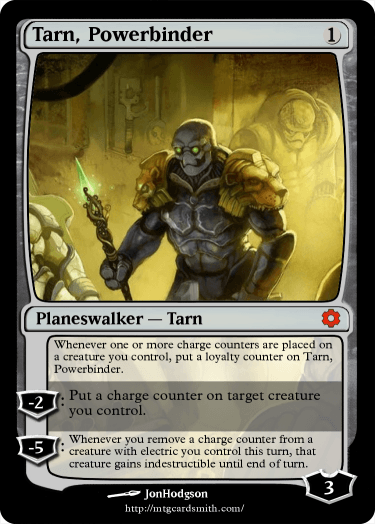 They need a way to get loyalty counters that's not a plus ability, @Tomigon. Like (0): put a loyalty counter on _______ for each creature you own but don't control, IDK. Also, Loki should be a legendary creature - god. They can gain loyalty counters. 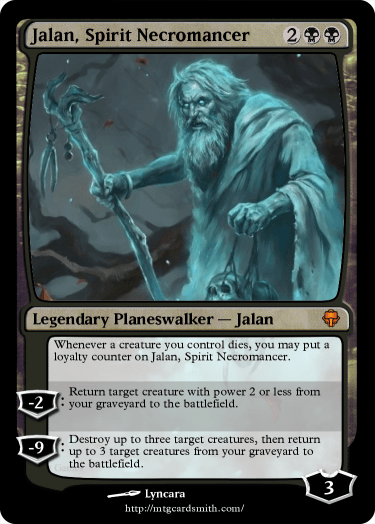 If he becomes the copy of another planeswalker, he can get plus ability. Also if you return him to your hand and cast him again, he can regain his loyalty. Why God shouldn't be a planeswalker? Elf, leonin, dragon are planeswalkers in real magic. Here a seemingly bad design of mine. I think I got 2nd. Woohoooo! Did I get 3rd or 1st? NOICE! I GOT FIRST! Thank you!